It is well known that divorce can have an affect on children, especially at a younger age. Most known affects include emotional and physiological impacts; however, recent studies have discovered a physical side effect of divorce. 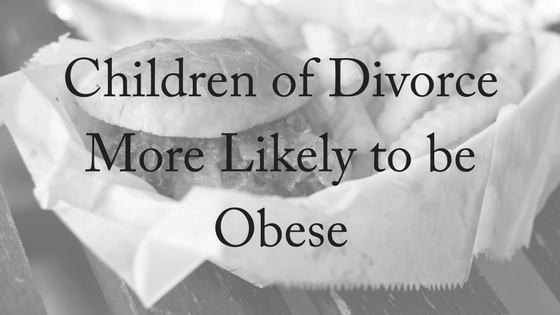 A study from Norway has discovered a possible link between obesity in children and divorce. The study involved more than 1000 kids around the age of 8 across numerous schools, and the startling statistics were discovered. Around 1 in 5 kids were analysed as obese and 1 in 10 to be overly obese and the data shows that kids with divorced parents were 50% more likely to be obese and 90% more likely to be overly obese. Children whose parents had never married were still seen as having a statistically lower risk to being obese than those who had divorced parents. A range of other contributing factors were taken into account, including the intelligence of the parents, yet the findings still highlighted that children with divorced parents had a higher risk of being obese. The statistics remained high particularly when discussing the obesity in boys, with 63% found to be at a higher risk of obesity than those with married parents. Another study completed by the Florida State University noticed that an experience like divorce in childhood can lead to obesity in adulthood. Data collected by the U.S. Centers for Disease Control stated that 17% of youth are obese, causing later health problems in life such as heart disease, diabetes and strokes. 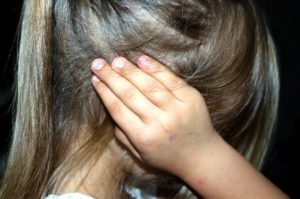 It’s thought that one reason divorce impacts children emotionally and physically is because of the upheaval and chaos that can often occur during divorce. Where children need structure and routine, this often is more difficult to provide both during and after the divorce. 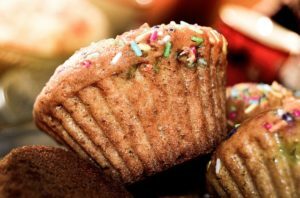 Some children may find comfort in eating; but equally divorced parents may find it easier to provide unhealthier food choices because they’re tired and stressed. As divorce rates have recently increased and more children are experiencing separated parents, preventive methods can be created to allow more focus on children and their health. There is no doubt that at first your child may take the news of a divorce negatively, but there are ways in which the process of divorce can become easier on your child and hopefully reduce long lasting effects. Firstly, divorce can be stressful and creating new routines may at first be difficult. Children tend to personalise everything, so if you miss a play date with your child, they may internally blame themselves. It is incredibly important to let them know that they are loved and the divorce is never their fault. To ensure that their self-esteem doesn’t plummet, give lots of affirmative words to your child. It may also help to have a backup plan in case the other parent is unreliable to allow for more quality time and to make up for any disappointment. It is also very important to encourage communication. If the other parent becomes unreliable, let your child discuss their feelings and don’t ignore them. Your child may be feeling upset that you did not show up to his soccer game with his other parent, but may not wish to share his feelings. Encourage those discussions, as it may help in easing his or her frustration. It is also an important point to not fight in front of your children, as this can be emotionally scarring. Make sure your conflict is done away from your children. And always remind your children that both parents love them. it’s vitally important for children to understand th at the divorce is not their fault. Goodbyes and hellos are very important. Always appear happy to see your child with their other parent, as a small amount of disappointment can make the child feel guilty about leaving. When they arrive home, be welcoming and don’t pepper them with questions about what happened at the other parent’s house. Give them lots of hugs, if they need it. Ensure you are yourself, and are happy to see your child at home. Let your child express his or her feelings, even if those feelings are sadness and disappointment. Your child may just need someone to talk to and it is perfectly okay for them to feel upset in the circumstances of divorce. Working out parenting arrangements are often tricky. It’s always a good idea to seek legal advice. You can consider options such as mediation to allow a third party to help you and your ex-spouse come to an agreement when considering the child. The third party will also be a voice of reason to help assist you make the best decisions. A good family lawyer will also be able to advise you how to agree on parenting arrangements, focusing always on the best interests of the children. We recognise the importance of children maintaining a relationship with both parents after a separation occurs, and we have the expertise to assist parents in reaching agreement about the parenting plan for their children. For more information, contact us today – we offer a free, 10-minute phone consultation.